I have been a massive fan of podcasts since the early days when podcasts were generally very low quality in terms of production values. But straight from the off I realised how these versatile learning tools could make a massive impact on what was up until that point dead time. Driving in my car is now exclusively podcast time! I thought I would share with you all my top 10 list of personal training and fitness related podcasts. Please note this list is in no particular order! This is the new podcast from Sean Croxton of Underground Wellness fame, this podcast focuses in on the broader areas of self development and business. Only in it early stages the podcast has had some awesome guest, including an opening show with the legend that is Bod Proctor. This awesome podcast if from Josh Trent an expert in the areas of fitness technology and quantified self. This podcast takes a unique approach to health and wellness, with a great range of guests. This podcast is one for all those interested in strength and conditioning. Rob has a great range of guests who have a wide and varied history in the world of sport. This has to be one of the funniest and most entertaining podcasts in the world of fitness. Vinnie tackles a range of topics that are in the news and hosts a range of guests. A great podcast well worth a listen for bucket loads of entertaining education. A very scientific podcast that focuses on sports nutrition, the show is hosted by Laurent Bannock of Guru Performance and features regular guests from the world of nutrition. This podcast from the great Ben Greenfield focuses in on a wide range of fitness, nutrition and health topics. This long running nutrition and health based podcast has sadly come to an end, with Sean moving onto a new podcast. The back episodes of this iconic podcast are still available in itunes and on the website. 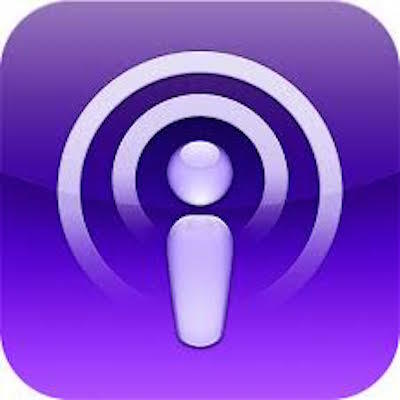 This great podcast covers a wide range of topics in the area of health, training and nutrition. The Fitcast has been round for a while and has a huge back catalogue of episodes. This established UK based podcast is a must for all those who are interested in training and nutrition. Ben and his range of guests talk about a range of mainly nutrition based topics. Another one for all those interested in the world of strength and conditioning. This is a longstanding podcast with a range of regular and guest features. If you have any other podcasts that you would recommend put them in the comments box below!